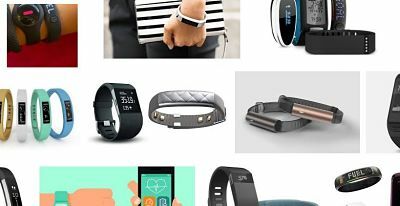 Update: Please check best fitness trackers in India 2018 for latest list. Fitness trackers are high-tech wearable gadgets, that keep track of your health by monitoring various activities of our daily life. How this work? – Fitness Tracker Work by recording your activities & simultaneously syncing this data to your smartphone.Smartphone then analyse this data and will give feedback to user. User gets this feedback through easy-to-use display and can monitor health and activities. Nowadays fitness trackers come in easy-to-wear and trendy styles, making them stylish along with core functionality. You can simply wear it like a wristwatch and stay updated with constant information about your health, by pairing with your smartphone. Fitness trackers enables the user to monitor his/her habits, activity patterns & then avoid unhealthy healthy lifestyle. Fitness tracker will be your companion giving feedback’s on heart rate, calorie – intake and burned, sleeping time, quality of sleep and more. New trackers coming with pedometer can also give information like how much steps you walk etc. How is an activity tracker different from a smart watch? Fitness trackers are primarily dedicated for monitoring users bio-metric data & physical activities. Smart watches allows users to check notifications, E-mail, calls, and more. It is basically a phone that can be worn on the wrist. Core difference is that smartwatch help you communicate and deliver notifications while activity tracker keeps track of exercise and health. Fitness trackers come with Bluetooth integration to help you sync your device with your smartphone. Various smartphone apps record your activities and provide real-time feedback, helping you monitor your performance. By syncing the fitness tracker to your phone, you are not only prompted with general call and message notifications, but also updated with your fitness levels at all times. Many latest fitness trackers are designed to be water-resistant, making it ideal for everyday use. Some even boast of waterproof capabilities, designed for convenient use under water. These come in handy during activities like swimming, aquatic exercises or any other every-day activity. Through the GPS tracker you can map your routes and get real-time statistics like time taken to reach the destination, distance covered, walks, runs and pace. You can track and analyse your activity patterns from a birds-eye-view, and customise your route map on a daily basis. Devices with a sleep tracking feature can monitor your sleep patterns by analysing the length and quality of your sleep. They can detect the difference between REM, light and deep sleep, measure it against the resting heart rate and your sleep quality. This helps you plan an ideal accurate sleep-cycle, and updates you in case your body does not receive adequate rest. Easy to read display will be very comfortable to use while participating in any activity. Some activity trackers are designed to work with Android while other will sync and work smoothly with iOS. And then, we have few devices that are designed to work with both operating systems. Also you have to note that some trackers are not compatible with certain new versions of Bluetooth. So you need to check compatibility of new device with your existing smartphone. Be it a smartphone, fitness tracker or smart watch, long battery life is one of the most important customers are looking for these days. For cleaning you can wipe with a soft cloth when needed.